Cover of The Pearl Necklace and Mikimoto catalogue advertisement for the Chicago World Expo, 1933. Mikimoto pearl bracelet set with diamonds, sapphires and emeralds. Richard Avedon photograph from "The Great Fur Caravan" for American Vogue, October 16, 1966. Kevin Spacey and Robin Wright as Francis and Claire Underwood in House of Cards, 2013. 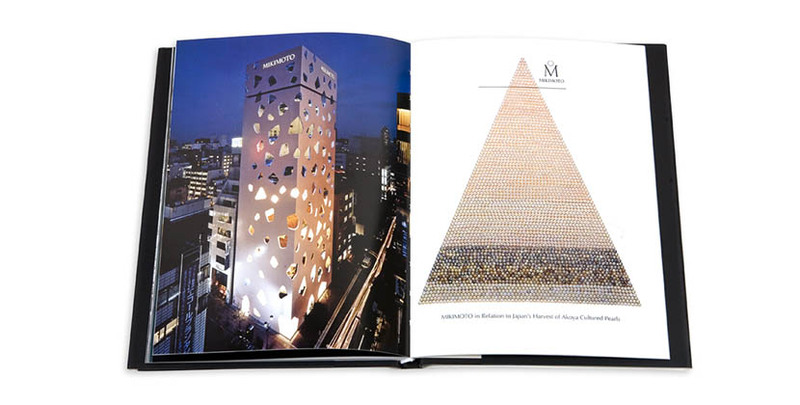 Mikimoto building and a photo showing the range of colors of pearls and the top selection Mikimoto uses in its jewels. “All art is autobiographical,” the Italian director Federico Fellini once famously declared. “The pearl is the oyster’s autobiography.” After the diamond, there is no other gem that has inspired more passionate metaphors and style references throughout the ages than the pearl. The iconic editor-in-chief of Vogue, Diana Vreeland wrote in a 1966 memo to her staff, “Nothing gives the luxury of pearls. 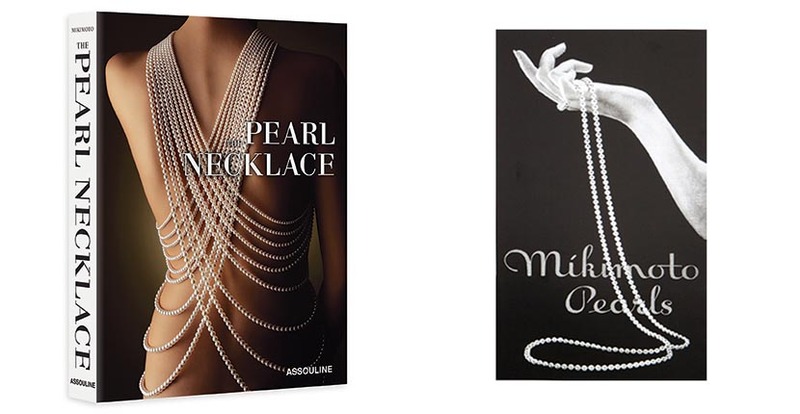 Please keep them in mind.” Many pearls of wisdom (pun intended) are gathered together in the new Assouline book about the marine gem The Pearl Necklace. 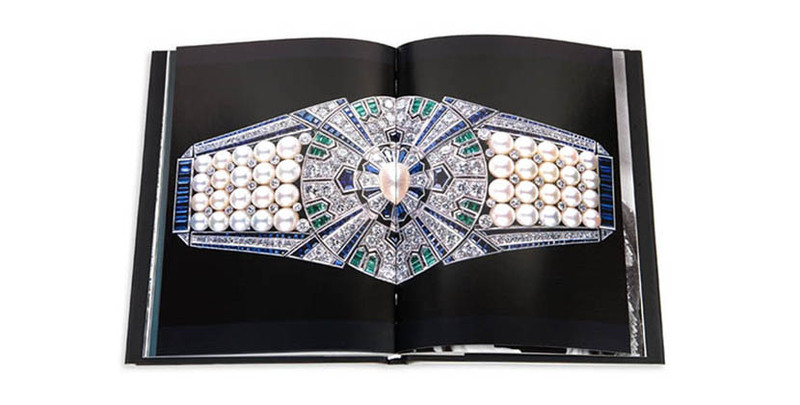 The publication’s introduction by jewelry historian Vivienne Becker lightly reviews the style history of pearls beginning with Cleopatra and bringing the story right up to the present with Lady Gaga and her Mikimoto necklace. 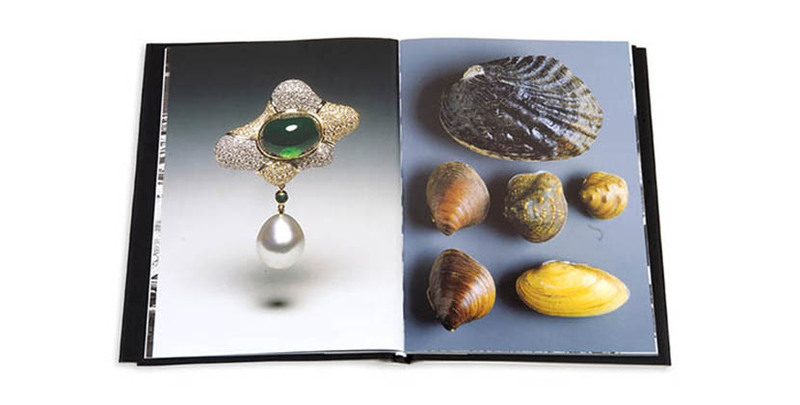 The center of the narrative covers the sea change in the pearl story when Kokichi Mikimoto devised a way to farm pearls creating cultured pearls and transforming the availability of the gem to a wider audience. Mainly this book is a visual splendor with 200 images. 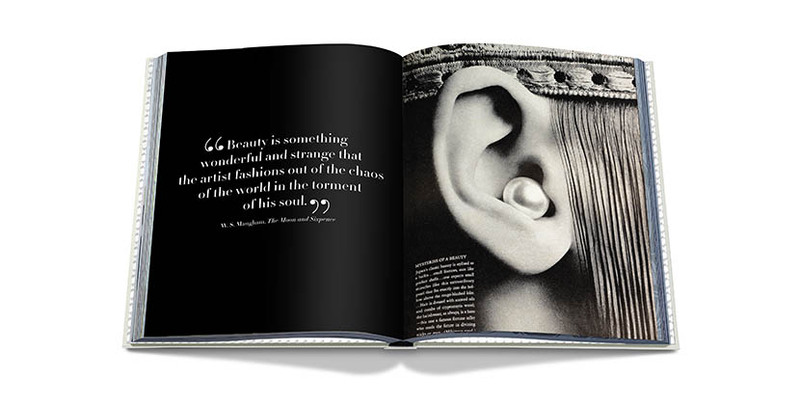 There are striking fashion shots such as Richard Avedon’s photo for Vogue of a pearl resting within a model’s ear taken the year Vreeland wrote her memo. A Marilyn Minter photo shows a model with a strand of pearls in her mouth. There are also images of lots of iconic women who made pearls their signature such as Grace Kelly, Jackie Kennedy and Marilyn Monroe. Several surprises fill the pages including Giambattista Valli wearing his signature strand of pearls.